If you pay close attention to the Mustang world then you might remember the debacle that was Unique Performance. The Dallas-based company had a license from Shelby to build continuation Mustangs with appearance packages similar to “Eleanor” from Gone in 60 Seconds, designated as the GT500E. Eventually it was learned that Unique Performance didn’t quite have the best business practices, and many of the cars were impounded and later sold at auction. While it’s not specifically stated, it appears that the Mustang pictured here is one of those cars, since it was previously on a bonded title. Thankfully it looks like the car was fully completed, and features a 725 horsepower supercharged V8, Currie 9-inch rear end, Baer brakes and more. While the $154,000 selling price here at Barrett-Jackson seems like a lot for a continuation Shelby, it can be considered a bargain considering they went for well over $200,000 when purchased new. This is a rare limited edition 1967 Shelby GT500E Super Snake. CSE-55049, continuation fastback in Pure White and Ebony Black stripes. 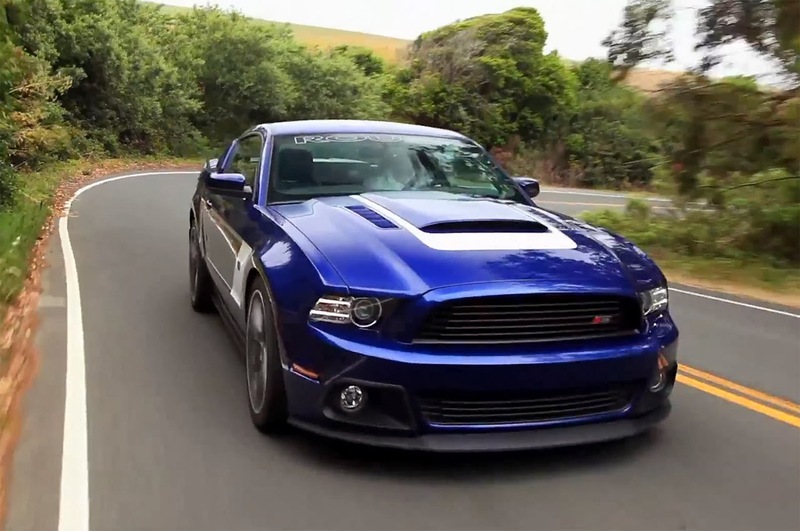 Very few Super Snake Shelbys were licensed and built with a Carroll Shelby licensing agreement. This is a great opportunity to own a limited interest of Carroll Shelby history. It is powered by a 427cid Shelby Performance aluminum FE engine with a Shelby Vortech supercharger producing all together an astonishing 725hp. The transmission is a Tremec TKO 5-speed and the rear end is Currie 9″ posi-traction with a 3.25 gear set. Big power with big brakes, front 13″ Baer disc 2-piston aluminum, rear 12″ Baer all slotted, cross drilled and zinc washed, including vented air ducts to the brakes. Make sure you strap yourself into the G Force 5-point quick release harness, OEM lap belts and include a quick release horizontal bar. Sit comfortable in the Super Snake embroidered hi back leather bucket seats, while admiring the Shelby signature gauges, including a 200mph electronic speedometer. Stay cool with Old Air products Hurricane air conditioning system and listen to your favorite music on a Sony stereo, CD player and 250-watt Alpine sub-woofer. The front tires are 245/35 ZR1 and rear 315/35 ZR1. All documentation and restoration process on CD. 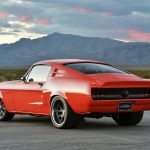 This entry was written by by MustangsDaily (Mustangs Daily) and posted here on Saturday, January 19th, 2013 at 10:04 am and is filed under 1967 Shelby GT500, 1967 shelby gt500e, barrett-jackson, barrett-jackson 2013, News, shelby, shelby gt500, shelby gt500e. This article was not written by us, rather gathered using RSS feeds listed here. We take no credit for this article. You can leave a response, or trackback from your own site.